Time to go after the Italians. It’s taken a bit of time but Porsche has finally admitted its six-cylinder 911 cannot properly compete against the V8-powered Ferrari 458. 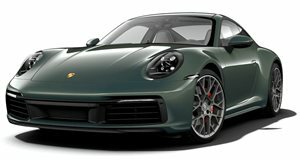 Sure, you can get a 911 Turbo, but the fact remains the Carrera and Carrera S don’t quite hit the mark; neither are supercars. Therefore, Porsche has decided to go ahead with development of an all-new supercar that’ll challenge the 458. Codenamed the 988, it will slot below the 918 Spyder in both price and performance, with power coming from a V8. Basically, Porsche learned a valuable lesson regarding that whole 911 GT3 engine fire fiasco: the flat-six has gone about as far as it can in terms of increasing its cubic capacity. The switch to a V8 will make it possible to achieve around 600 horsepower, with the potential for more. For comparison, the 458 has 562 hp. Turbocharging will also be likely, although it hasn’t been confirmed yet. Speaking of which, Porsche is also currently at work preparing a new turbocharged and naturally aspirated boxer engine family. Four-, six-, and eight-cylinder flavors are expected. The new flat-flour will one day power the Boxster and Cayman. The flat-six, of course, is for the next 911. What’s nice is that these engines will generate higher power densities combined with state-of-the-art fuel saving technologies. Porsche is also developing them to work with both mechanical and hybrid/electric all-wheel-drive. If all goes to plan, Porsche’s 458 fighter will debut in 2017.